You're on a budget just like everyone else these days. You want a great pet but don't want to spend a lot of money. Tropical fish can be expensive. But cheap koi fish are easy to find. You can buy koi fish at most pet stores either in person or online. For example, Petco.com offers a wide range of assorted koi fish, which range in both size and price. As with any purchase, it's smart to have a little knowledge when buying koi fish. Read on for a few tips. How could you not love a mug like this? It's best to buy koi fish in the spring. That way they have the entire summer to grow before the harsh winter sets in. Koi can grow up to 6'' in the first season alone! If you're buying a specific variety of koi fish, prices can be all over the board. Purebreds come at a premium just like any other pet. You'll see koi fish for sale at your local pet stores. Smaller ones will be cheaper than the larger ones by sometimes as much as $5. 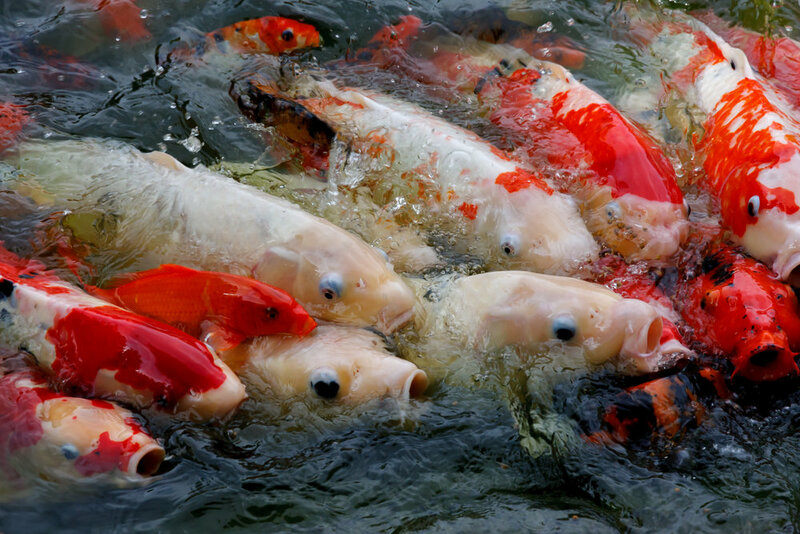 Go with the cheap koi fish as they'll make up the difference in size in no time once at home in their new fish pond. Be careful when transferring you new koi fish from their plastic bags to their new pond. Place the plastic bags in pond without opening them and let it sit there for a while to allow the water temperature to reach an equilibrium with the pond. Doing this will prevent shocking your new koi. Why buy koi fish if they end up dying, right? Shop around at the pet stores in your neighborhood. Some cheap koi fish will appear ill and unhealthy while koi at less than a dollar more can appear more vibrant, healthy and sizable. Shop for koi based on scale formation. Color formations will change as they grow. Koi fish with larger scale formations are more rare. All koi fish are cheap koi fish when you think about it. Baby koi fish are almost always less than $20 and can sell for up to $3,000 at their largest. Your ROI is simply a matter of how long you're willing to wait before letting someone buy your koi fish. Buy koi fish from all sorts of places. Check Craigslist, eBay and your local ad listings. 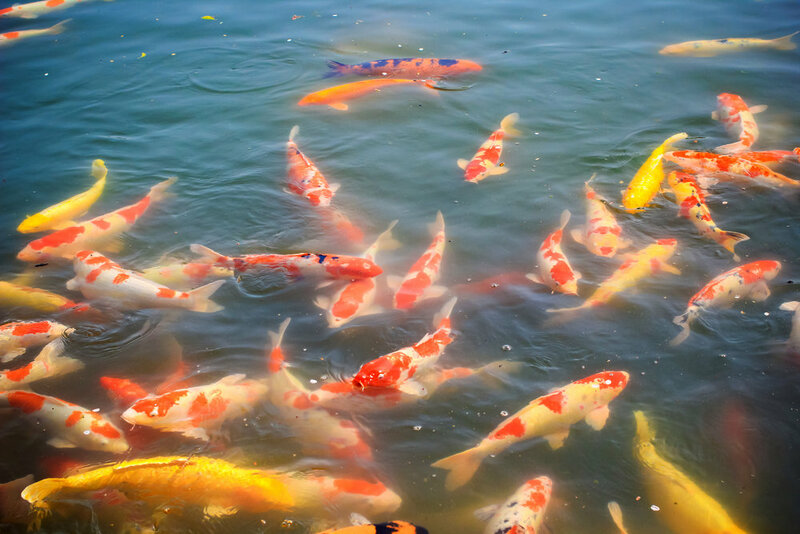 Cheap koi fish can make a colorful addition to any pond. Be on the lookout for koi farms, which provide great deals on bulk koi purchases. Buy koi fish with confidence now that you've read Koi Story's tips. Do you have a tip that isn't listed here? Drop Koi Story an email with your tip. Note: This page contains affiliate links to Petco.com. Purchasing products from the Petco as a result of clicking on links of this site will result in a small commission for Koi Story. Thank you, and be sure to share your koi story with us in the future.